Apple devices have the convenient option to download music from the iTunes store, but even that option costs certain amount of money. However, in this regard, Android users are lucky since they have a large variety of options for downloading music. In fact, many of them are for free. One such option is Tubidy. It initially started as a mobile video downloading site and now it has a number of great apps to help you download music to your phone. 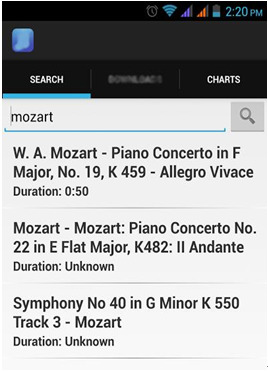 Here are five of the best FREE Tubidy music download apps for Android. 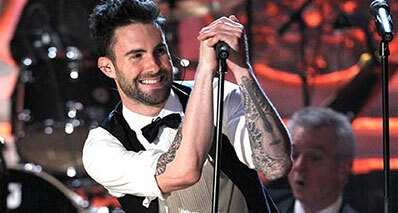 Provides best performance by finding the right music track with high audio quality. User-Friendly Music Application with exclusive features. Discover, Record, Download, Share or Manage Songs/Playlists/Albums. Download Music from SoundCloud/YouTube/Facebook/Dailymotion & other 3000+ sites. Rebuild iTunes Music Library with ease. 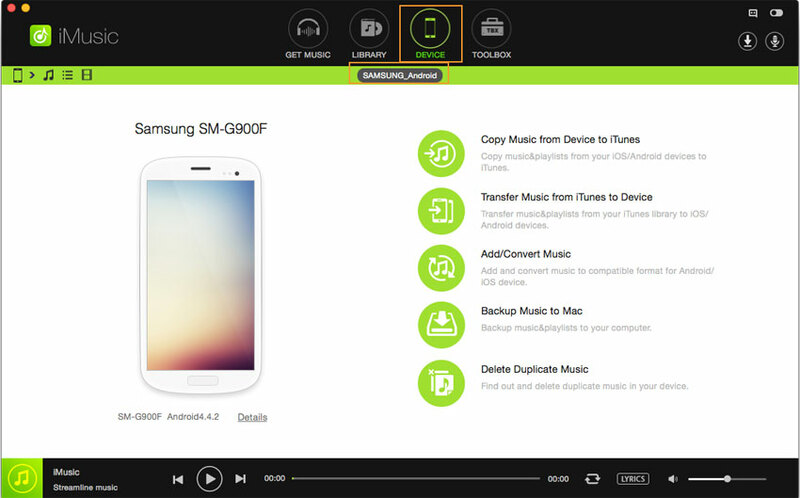 Transfer Songs directly to your Apple & Android Devices. Easily Record any Streaming Song from your Mobile Phone, Mac or Windows PC. You can download favorite songs from iMusic built-in music Library where they can find any song based on different genre, Artist, top playlist or other playlists. Apart from that, users can also directly download music from Spotify, Soundtrack, YouTube, BBC, Vevo, Vimeo, Dailymotion, Facebook and other 3000+ sites. Use digital cable to connect your Android device to your PC/Mac. Launch iMusic to start music download. iMusic will automatically detect your device and it will display the connected device in ‘Device’ section. In case, you fail to find the connected Android device in Device window, enable the ‘USB Debugging’ feature in your Android device via Settings menu. Now, go to device and choose the option ‘Transfer Music from iTunes to Device’. This will transfer music or playlists from iTunes Library to your Android device. Tubidy mobile is one of the best and most popular underground apps for downloading popular videos and truncating them to music. 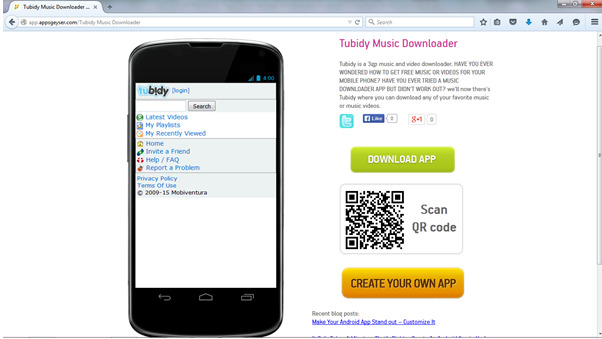 This app uses the video database of the site tubidy.mobi and allows Tubidy free music downloads for Android. The collection consists of popular videos from many platforms, including YouTube, and more videos are added to it every day. The Tubidy mobile app is very simple to use and very lightweight, consuming lesser than 1 MB of a disk space. Now, since this method of download isn't exactly Google-approved, you will not find it on the play store, but will have to download the .apkfile. Once you're done downloading the.apk file, install the app to the desired location and you're done! Just search for the video you would like to download and from the results, select the one you would like to download. It's just as simple as that. This app also lets you convert your videos to mp3 format to play conveniently or turn them into ringtones easily. It is free to download it on from the website. So this is definitely an app you should keep. This is another simple and extremely lightweight app for Tubidy free music downloads for Android. 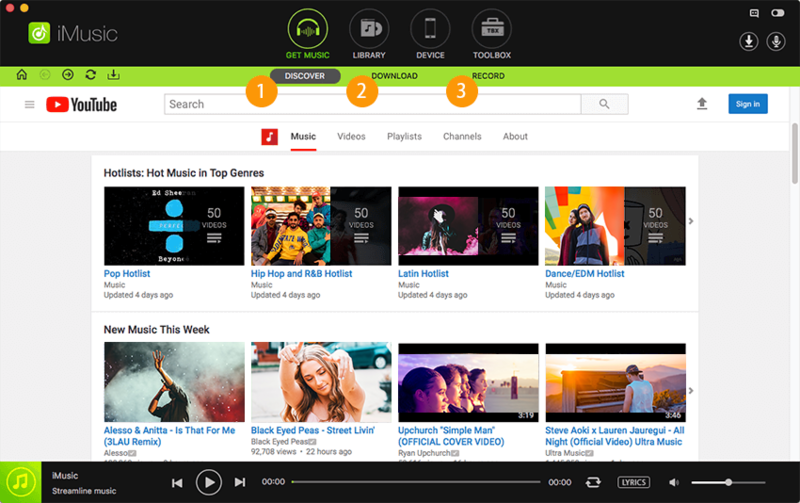 It allows you to download music from Tubidy's video database, which is quite large and keeps increasing every day. Just go to the given link, download the apk file, install the app at the desired location and you're good to go. Instead of the regular process of downloading the video and then converting it to mp3 format, this app greatly reduces your work by downloading it directly in mp3 format. It saves you more disk space and precious time. Just search for the music you're looking for, and download it in the format you would like. Your music will automatically be saved in the desired location. 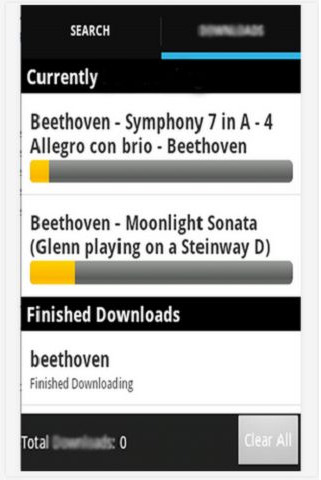 This is yet another popular cult app for Tubidy free music download for Android devices. Like the previous app, Tubidy music downloader also lets you download music from Tubidy directly in mp3 format without the trouble of downloading the track in video format and then converting it to mp3 to become compatible with your music player. In addition to the basic download and play, this app also has a number of additional features. For instance, it allows you to search for songs, not only in the tubidy database, but throughout the internet. Moreover, this app also displays the lyrics of the songs wherever available. The interface is pretty simple and fast. It generates an impressive number of results per search. Since it is completely free to download and use, you should definitely add this app to your android device. The search engine is pretty impressive so it is one of the best free mp3 download apps online. By now, you've probably gotten a hang of most of the tubidy apps. This is also one such app which holds most of the features of the other app we have talked about. You can use this app as a search engine to download a large variety of songs and audio. The tubidy mobi app allows you to download mp3 files with Creative Common license and copyleft license on your android device. 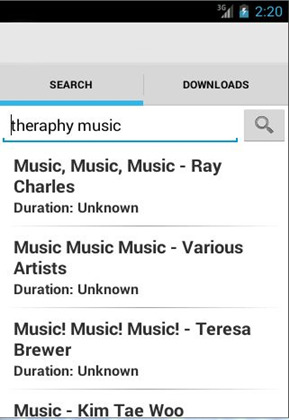 You can search for music, listen to them before downloading and share them via functionality. More so, it supports each and every video in 3gp (both regular and compressed), MP4 and MP3 formats. These are supported by smart phones. With this app, it is possible to watch any video for 10 seconds up to 1 minute prior to downloading it. Last but not the least, Tubidy mp3 is another app that lets you search and download tracks for free. This app also lets you search for tracks under creative commons and copyleft license. 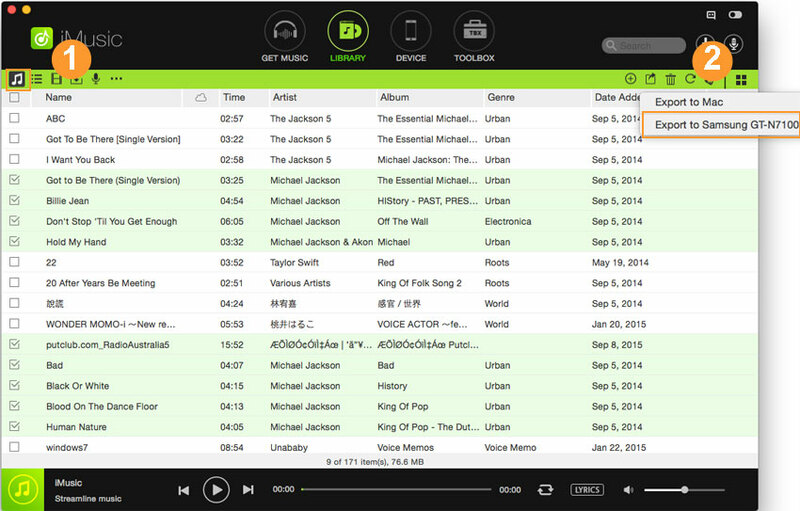 It allows you to search for songs using artist or album name in addition to the track name. The search results load quickly, and the downloads are fast too. You can choose to preview the song before downloading it and set it as your ringtone conveniently. You can download it from. So these are five of the top free music download apps for Android from Tubidy. These are more than compensating for the lack of itunes for Android. The best part is that, they are all free to download and use. However, one must remember that although these apps are great tools for free music download, they aren't exactly 'legal'. Many times, the music you download through them are against the copyright laws. Hence, they promote piracy. 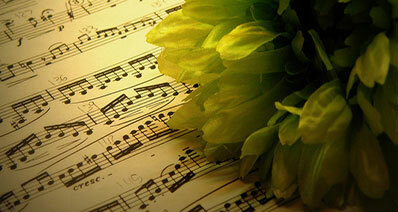 Therefore, you should always try to purchase music legally wherever possible.